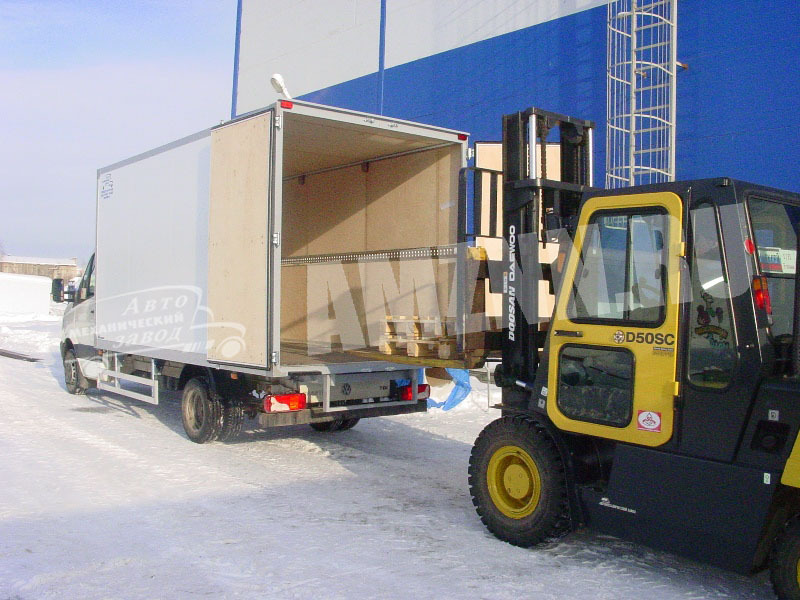 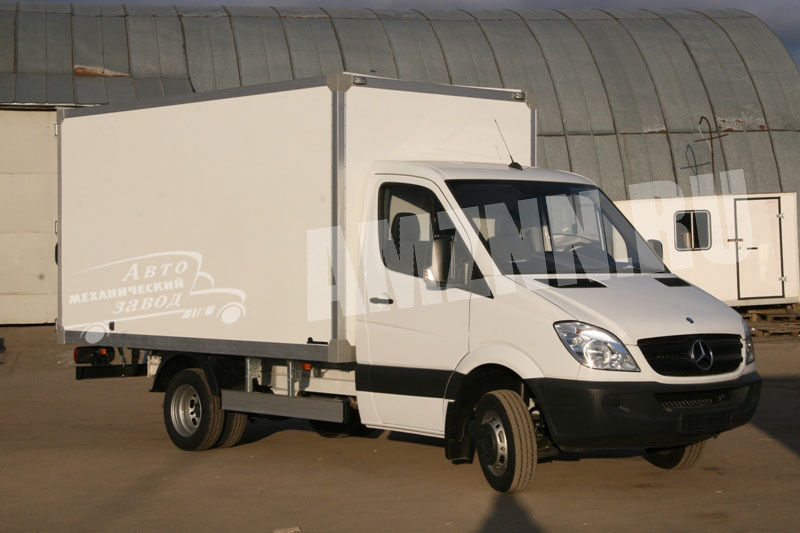 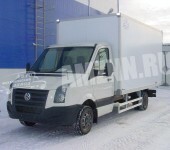 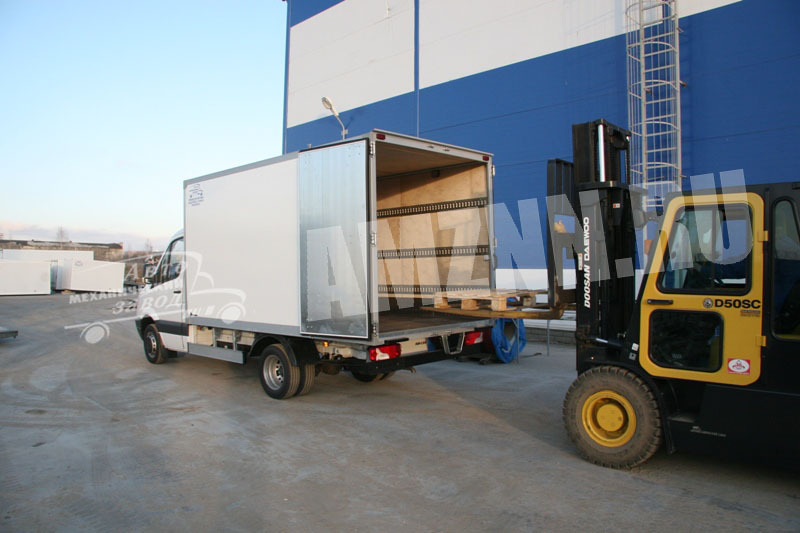 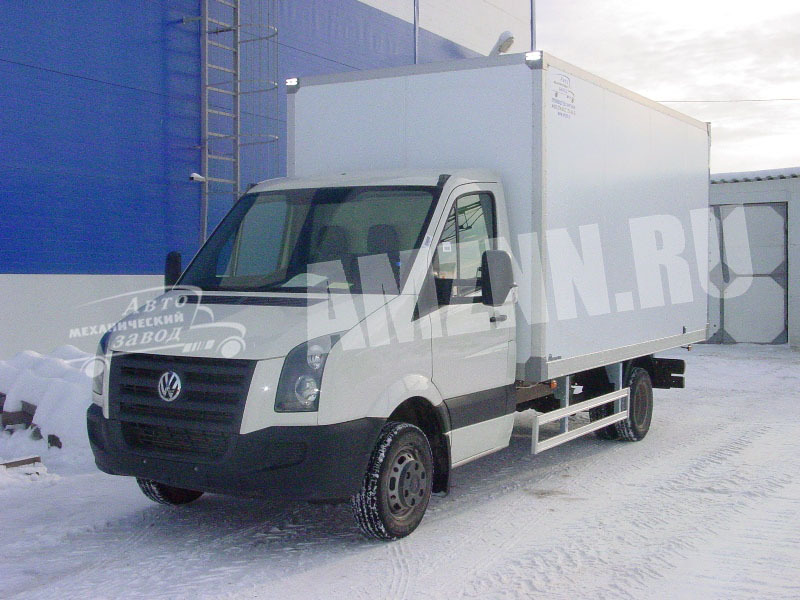 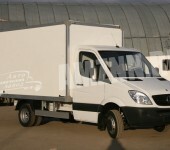 Frameless box vans are produced in accord with a so-called frameless technology. 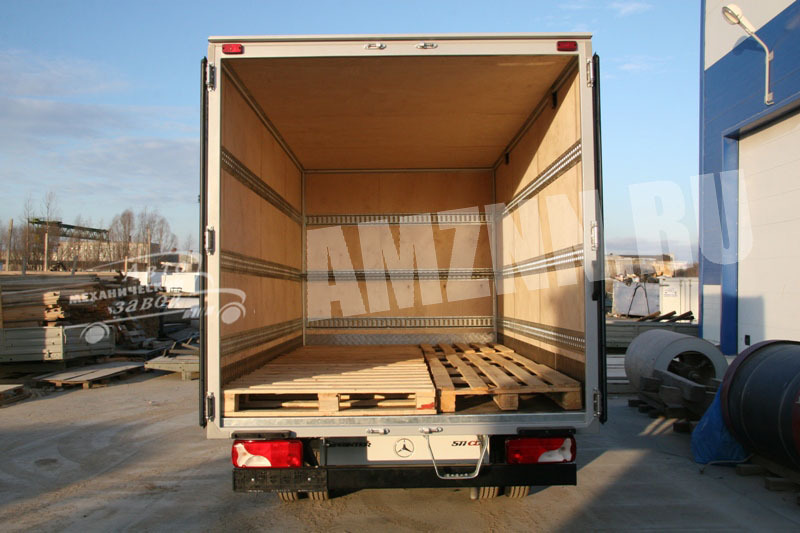 The panels are made of two-layer solid sandwich panels by vacuum gluing. 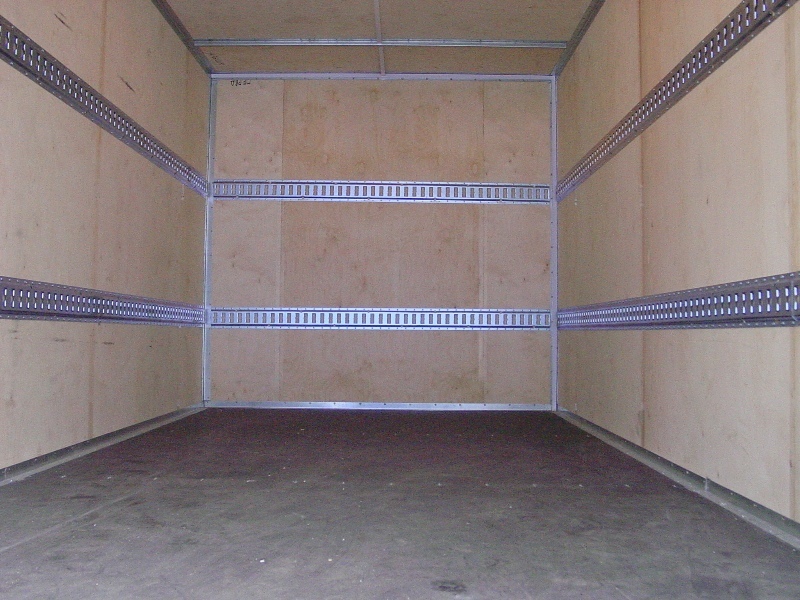 The exterior layer is clad metal whilst the interior is trimmed with waterproof plywood. 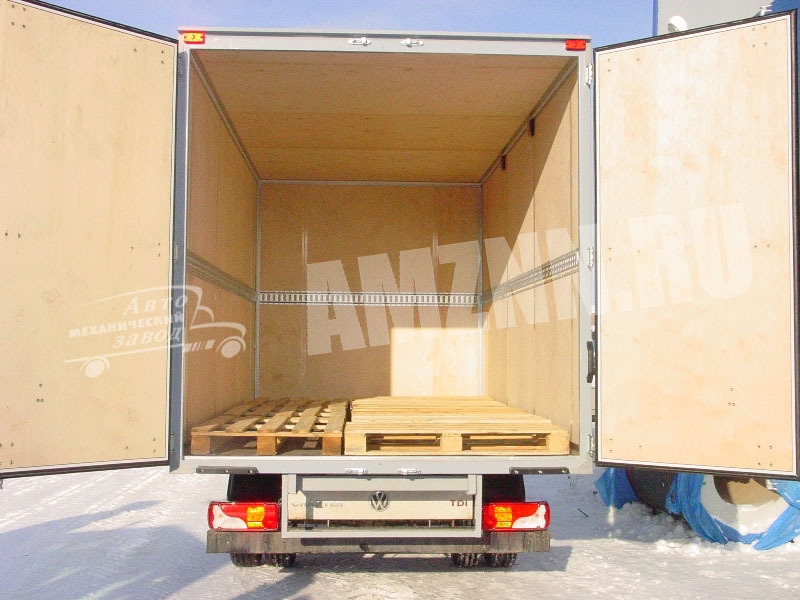 The framing of the van body is made of galvanized 2-mm thick corners with a polymer coating. 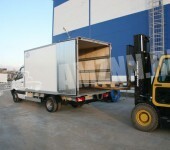 Alongside the perimeter of the interior part of the van it is equipped with lifting racks for cargo fixing. 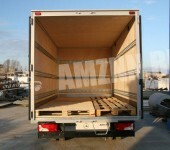 The flooring is transportation plywood, a so-called 18-mm thick fine mesh. 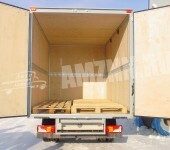 The vans with glued paneling are robust and durable. 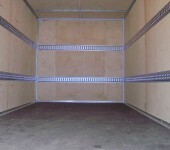 Upon a client’s request we may introduce structural alterations.